Can tree roots block or clog sand mounds? As technology paves the way for a brighter future for our planet, it couldn’t be helped if some of the natural resources perish. The main excuse for getting away with it is progress. Until this very day, one of the most abused natural resources is wood. The trees in various forests all over the world either slowly die or abruptly disappear because of man’s abusive ways. It is not a secret that illegal logging, kaingin, and development projects take place and all of these activities require the killing of trees. This dire crisis is considered an environmental emergency that everyone should consider and help with. You have long started to aid in the cause of saving trees that is why you have decided to participate in tree planting projects every time you come across one. You surf the net every weekend just to look for opportunities to plant more trees. One day, you stared at your tree-filled yard and wondered…Can tree roots block or clog sand mounds? It is truly a dilemma for you because you planned to increase the number of trees in your yard. You just waited for the scheduled pump out and treatment to ask your septic expert if it was all right for you to add more trees to your property. A day after your pondering, your septic expert advised you to replant some of your trees away from your sand mound area and stop planting more trees in your yard. If you have another land somewhere, you could plant more trees there especially if there are no sand mounds to worry about. He said that tree roots CAN block or clog sand mounds. If this happens to your sand mound system, you would definitely wish that you never even thought of planting trees in your property in the first place. Trees are living organisms so it is understood that they need nutrients and they need space. As you know, trees have specialized structures in order to survive. One of the most complex structures of trees is its root system. This is comprised of primary roots, secondary roots, and the much finer roots that strengthen the hold and enhance the acquisition of nutrients. 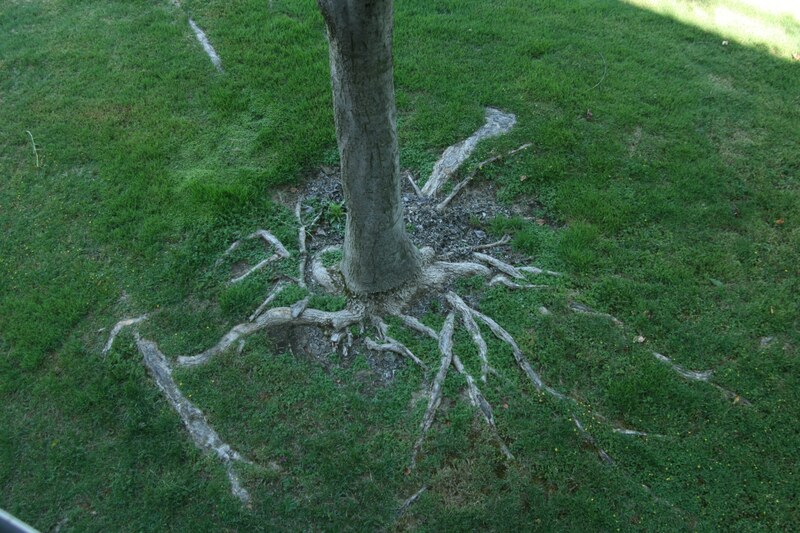 As the tree grows, its roots also go much deeper into the substrate. This way, the full weight of the tree is supported and more nutrients are obtained. If there are trees that are planted on your sand mound or within its perimeter, then the tree would be able to have access to a rich pool of liquefied food that is very easy to assimilate through its roots. It would also leverage stronger support because its roots could firmly hold on to the sand mound’s components. Once the tree roots take hold of your sand mound, damage and blockage will most likely occur. The invasive roots will make their way into the sand mound’s internal environment. It will squeeze into small gaps and fill up the spaces that were solely meant for the wastewater or the effluent to occupy. If the tree roots enter the sand mound tank, filtration system, pumps, and soil absorption area, then the sand mound will definitely malfunction and fail. The wastewater will backup into your home or even overflow onto your precious yard. The septic odors and sewage will overwhelm your property, causing several health issues that you should not have at all. It would really do you no good if you plant trees on your sand mound area. If ever you were able to plant trees on your sand mound area, you could have the trees replanted in an area of your property that does not contain any component of your sand mound. The tree roots that have already penetrated the sand mounds system should just be manually extracted and not killed or dissolved by harsh chemicals. The strong, corrosive solutions could seep through the soil and into the surrounding bodies of water. This event could kill off the aquatic organisms and cause an imbalance in various ecosystems in your area.